Patricia and her husband Bob used to own and operate one of Churchill’s best hotels. Now retired, they remain consummate hosts, and Patricia shoulders much of the responsibility for St. Paul’s church. 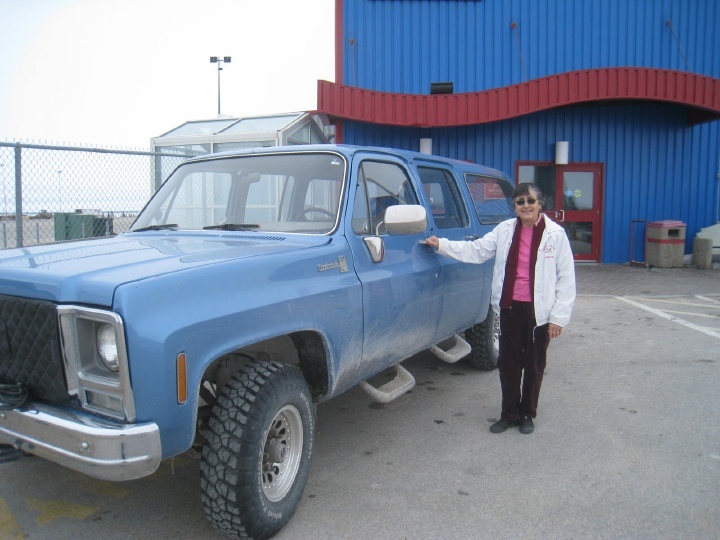 She’s seen here with their big blue Suburban (it’s at least 30 years old, but it’s in mint condition).